To celebrate, today I wore my very own, pre-pregnancy pants. Not even the big ones, thank you very much. way to go! your very own pants! i love you friend! isn't that the BEST feeling ever..?! your belly was beautiful though. 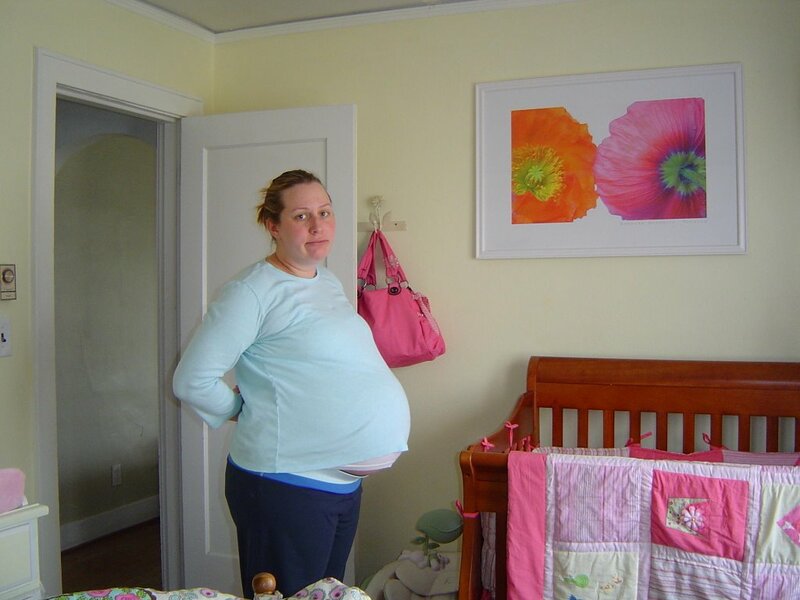 do you remember what your belly measured (in cm) before you gave birth to claire? i think i measured about 1 million cm. ha ha ha.. i don't remember, but she was pretty much right on track measuring by the week each time i went to the midwives. its just so surreal how we stretch out like that. Yeah!!! It worked. We finally got on. That is so impressive - both the huge belly and the being back in the non-big pants already! You rule. the end of an era...sort of.